One of the most savory omelettes, the Chocolate Omelette, is often gifted to those on Valentine’s Day who enjoy both an undying love for omelettes and an over-active craving for chocolate. The sweetness of the chocolate paired with the sweetness of vanilla is only muddled slightly by the bitterness of the borovan. This pairing is best enjoyed while sitting on the patio of a small cafe in Neopia Central with friends during the twilight hour or while out with that special someone enjoying a nice stroll through the cobblestone pathways of Faerieland. It isn’t often that two items containing the same fruit would be paired together but in the case of the delectable Twirly Fruit, it can only get better with more. The emerald green hues of the Twirly Fruit twirled in with the yellowish white of the egg make this omelette one of the most recognizable. The Twirly Fruit Omelette is an item that is eggy tasting yet sweet and fruity at the same time. The Sparkling Twirly Fruit Juice offers a bit of a kick against the eggy taste and is also refreshing with the tingle from the sparkling! This pairing is best at parties with younger crowds as the colors are extremely vibrant and playful! Enjoy these two twirly-tastic items with any baby Neopet as the colors and taste will bring great joy to them! For the more fad-following Neopian, the Apple and Brie Omelette is a must. Paired with a cup of hot Breakfast Tea, this is the perfect way to start your morning. Apples warmed inside a fresh omelette pocket with melty Brie cheese oozing out the side gives any Neopian that posh feeling. Whether you add cream and two sugars to your tea or enjoy it with nothing added, a nice piping hot cup of tea goes great with the Apple and Brie Omelette for a nice brunch on a Sunday morning while enjoying the ocean side breeze on Mystery Island. The heart of Neopian comfort food has always been bacon. In the mornings, bacon is added as a side dish or mixed in with eggs to make the delicious Bacon Omelette! Nothing is better than a tall glass of freshly squeezed Orange Juice to go along with your Bacon Omelette. This delicious breakfast packs lots of protein and energy so your Neopet can start the day in a healthy, robust manner! Enjoy your omelette and juice pairing in the comfort of your Neohome before starting out on a big adventure! You have a gaming party tonight. It’s a last minute get together. What better to serve to your friends than a party worthy Pizza Omelette and an ice cold Can of Neocola. Filled with ooey-gooey cheese and mouth watering marinara sauce, the Pizza Omelette is sure to be a big hit at any party! A Can of Neocola will surely quench your thirst while you and your friends battle it out to see who can beat this week’s Better Than You score! Much like normal pizza, the Pizza Omelette is also great reheated the next morning when you’re too lazy to make something from scratch after a long night of gaming! A more exotic pairing comes with the Rice Omelette and Tomato Basil Juice. The Rice Omelette is quite bland as rice doesn’t really have it’s own taste, it’s just extremely filling. Paired with Tomato Basil Juice, it can become an exquisite morsel. The freshness of the tomato and the accent of the basil offers a delicious seasoning for rice engulfed inside the pocket of the omelette. This pairing makes a great dish for the Neopoint conscious Neopian or as a great potluck dish at a celebration! One of the most dessert themed omelettes is the Marshmallow Omelette. Paired with a glass of delicious Chocolate Milk from Kau Kau Farms, this pairing becomes almost like a s’more, just with a bit of omelette mixed ins. Enjoy this delicious combination while sitting around a campfire in the Haunted woods telling ghost stories with your friends! Fruits are always a refreshing especially when paired together. The sweetness of the ripe strawberries mixed into the omelette bring a delicious delicacy to Neopians. When paired with the Kiwi Milkshake, the two fruits create a symphony in your mouth. This pairing is extremely delicious and enjoyable when picking your own in the rolling hills of Meridell. One of the stinkiest and most rancid combinations is the Rotten Omelette and the lumpy Week Old Glass of Milk. While this pairing may only be consumed by the ever hungry Grarrls, it is still a good pairing nonetheless. The stinkiness of the rotting eggs in the omelette with the stench of the lumpy, cottage cheese-like milk in the glass are both so intensely grotesque that they work perfectly together. This pairing should not be enjoyed by any Neopian unless you have some medicine to help your aching tummy after consuming these two old, icky items. From brunch omelettes and drinks on the beaches of Mystery Island to unsavory rotting omelettes that no Neopian should eat, there are dozens of combinations of beverages and omelettes for Neopians to try! 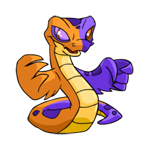 With thousands of combinations, you’re sure to find one that makes your Neopet the happiest in the land!